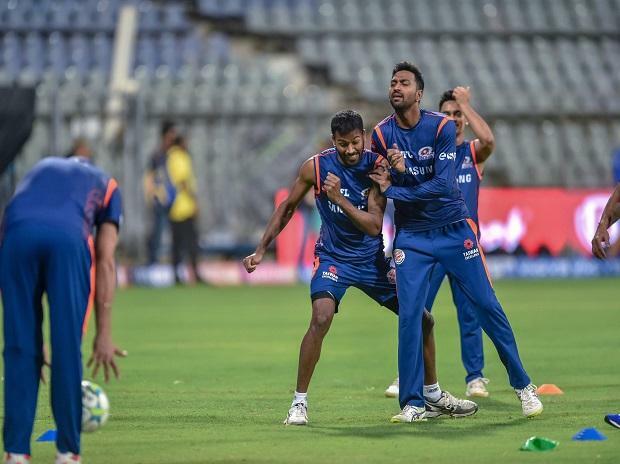 In Match 15 of VIVO Indian Premier League 2019 (IPL 2019), Mumbai Indians will look to stop the winning spree of Chennai Super Kings at Wankhede Stadium in Mumbai on Wednesday. However, CSK will go into the match as favourites after winning their first three IPL 2019 matches. They are placed at the top of 2019 IPL points table with six points while Mumbai Indians are placed seventh with one victory and two defeats. Mumbai Indians team management would look to make some changes in their playing 11 by bringing in Ishan Kishan in place of out of form Suryakumar Yadav. The hosts will have the option of fielding new recruit, West Indian fast bowler Alzarri Joseph, or all-rounder Ben Cutting in place of the off-boil Lasith Malinga. On the other hand, Chennai Super Kings, might bring back Harbhajan Singh in CSK playing 11 replacing Mitchell Santner. Mumbai Indians lost their IPL 2019 opening fixture against Delhi Capitals as Rishabh Pant hammered MI bowlers all over the park including the world number bowler Jasprit Bumrah. While chasing a mammoth target of 214, Mumbai only manage to score 176, losing the match by 37 runs. In their second match, the Rohit Sharma led side won a last-ball cliffhanger against Royal Challengers Bangalore, a game marred by Lasith Malinga escaping a big last-ball no ball which the umpire missed. In their third match, Mumbai Indians only manages to score 176 in 20 Overs in Mohali which is regarded as a batting friendly track and subsequently lost the match by 8 wickets. Chennai Super Kings seem to hold the edge over two-time champions Mumbai Indians in today’s match, especially with Dhoni rolling back the years with a typically robust 75 off 46 balls that lifted his team from 27 for three to 175 for five against Rajasthan Royals at Chepauk Stadium. And with Dwayne Bravo holding off Rajasthan's charge at the end with the ball, CSK maintained their 100 per cent record in IPL 2019. The Super Kings have the edge in batting depth and in spin bowling variety, with Harbhajan Singh, Imran Tahir and Ravindra Jadeja in their ranks. In head to head comparison, Mumbai Indians hold an edge as they have won four out of last five matches played between them. Overall too Mumbai holds a 14-12 advantage over CSK, including once in the defunct Champions T20 League. MI vs CSK match live streaming will be available live on Star Sports 1 HD, Star Sports 1 in English Commentary and Star Sports 1 Hindi, Star Sports 1 Hindi HD in Hindi Commentary. One can also live stream the MI vs CSK 2019 IPL match on Hotstar app and website. The fans can also watch in-depth analysis of live match on Star Sports Select 1, Star Sports Select 1 HD.